No 'Boots' on today's horizon? 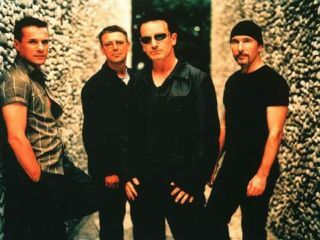 U2 were planning on premiering the official video to Get On Your Boots today (30 January) at 5pm on Independent.ie. That airing has been delayed. A simple statement on the Independent website, marked 3:10pm, read: Delivery of the video for U2's new single, Get On Your Boots' has been delayed. We are waiting for an official statement from the band and their record company. More details will follow. No doubt, within minutes of its premiere, the video would have found its way to YouTube - that's just the way things work these days. MusicRadar will bring you any additional news of the Get On Your Boots premiere as soon as it comes in.